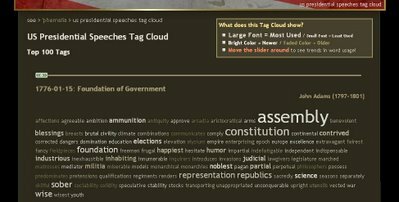 Chirag Mehta has created a neat tag cloud based on US Presidential speeches. 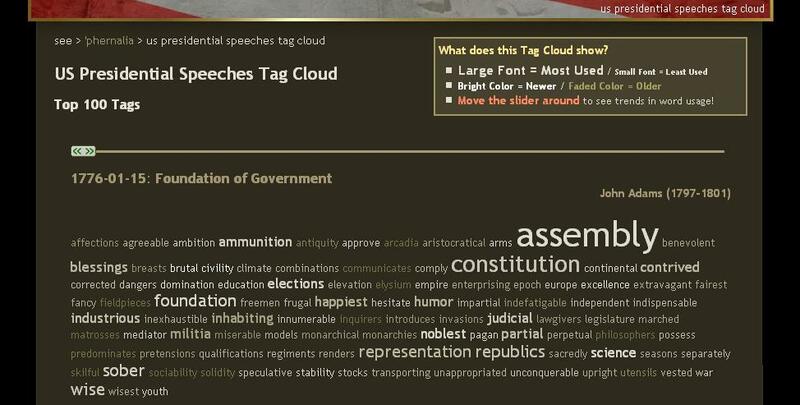 A neat slider lets you scroll through speeches from 1776 to 2006 and see what how word usage changes over time. A very cool way to see the important issues of the day. Some presidents emphasized slavery and others less exciting topics like imports and exports. How well do you know your Web 2.0 Logos?